The Caribbean Community Common Fisheries Policy (CCCFP) is aimed at fostering greater harmonisation across the Caribbean in the sustainable management and development of the region’s fisheries and aquaculture resources, with special emphasis on promoting the most efficient use of shared resources while aiming to improve food security and reduce poverty in the region. The Caribbean Court of Justice (CCJ) has said that CARICOM policies, once authorized by COTED, are binding on the countries. At its meeting held in Suriname last Friday, 10 October 2014, COTED gave its stamp of approval to the CCCFP and said that the newly authorized policy should be applied by Member States as far as possible. The formal signing of the CCCFP by member countries is expected to commence in the months ahead. The recommendation to COTED came out of the 5th Special Meeting of the CRFM's Ministerial Council, held on Thursday, 9 October 2014, in Paramaribo, Suriname, coinciding with Caribbean Week of Agriculture. On that occasion, the CRFM’s Executive Director, Milton Haughton, presented a paper on First CARICOM Strategic Plan (2015 – 2019). The CARICOM Sec retariat and all other CARICOM Institutions along with the CARICOM countries will all be following a single plan for the first time following its approval by the Heads of Government in July 2014. 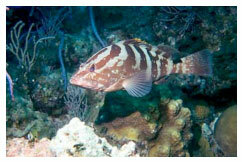 On 2 September 2014, the National Marine Fisheries Service (NMFS), Government of the United States, announced its finding and determination that “the Nassau Grouper meets the definition of a threatened species” and proposes “to list it as threatened under the Endangered Species Act”. The CRFM Ministerial Council discussed the USA’s proposal to list the Nassau Grouper, an important commercial fish species in many CRFM Member States, as a threatened species under the USA Endangered Species Act. The Ministerial Council said that Member States would need to be proactive in addressing this challenge. It called on Member States of the CRFM to compile the best available data and information on the status and active management of Nassau grouper in their countries, particularly information that could inform NMFS’ final listing and proposed conservation measures. The window of opportunity for submitting public comment closes on 31 December 2014. The Council also expressed grave concern over extra-national activities and decisions that impact on the social and economic conditions and international trade of CRFM Member States. 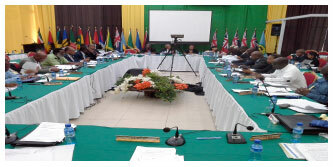 Apart from its endorsement of the CCCFP as a final policy document, COTED also endorsed the decision arising out of the 5th Special Meeting of the CRFM Ministerial Council, held the day before the COTED meeting, to strengthen cooperation between CARICOM/CRFM States and the French Départements Outre-Mer (DOMs) in the Caribbean, particularly Martinique, Guadeloupe and French Guiana. 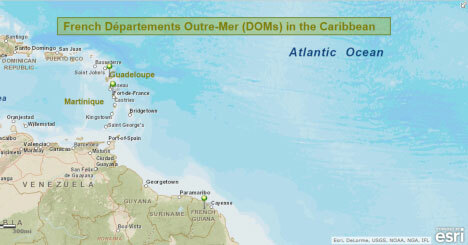 Since 2011, CRFM States have been discussing ways of improving cooperation with the French territories in the Caribbean, when the issue was discussed within the context of strengthening management and conservation of the Eastern Caribbean flyingfish fishery and combating IUU fishing in the region. The initiative comes at a time when the CRFM has adopted the first regionally approved management plan for flyingfish, a known shared species that is harvested by up to seven countries in the Eastern Caribbean: six CARICOM States and Martinique. The flyingfish plan was approved by the CRFM in May 2014 and closer cooperation with the French will support its successful implementation and provide opportunities for further dialogue and collaboration on other challenges facing the fishing industry of the countries concerned. 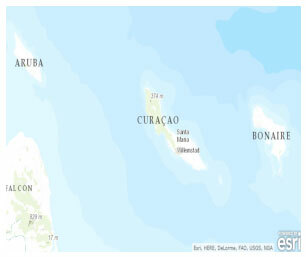 On 17 April 2014, Curaçao submitted its application for Associate Membership in the CRFM. The Ministerial Council, acting on the recommendation of the Executive Committee, supports the application of Curaçao to join the CRFM as an Associate Member. Consequently, the Ministerial Council has authorized the CRFM Secretariat to commence the process of negotiating an Association Agreement with Curaçao, which should be finalized and ready for signature for the 9th Meeting of the Ministerial Council slated for April/May 2015. The Ministerial Council is empowered to admit any State or Territory of the Caribbean Region as an Associate Member, providing the Ministerial Council is satisfied that the State or Territory is able and willing to discharge its obligations. Representatives of the CRFM countries and stakeholder organisations also discussed strategies for enhanced knowledge management and the use of information and communication technologies (ICT) for information sharing and cooperation in the fisheries sector as a way to improve the welfare and livelihood of fishers. The issue was discussed at both the Executive Committee meeting and at a one-day workshop made possible through the CTA-funded Knowledge Platform Project. The workshop reviewed materials and strategies being used for communication among fisheries professionals and stakeholders in the fishing industries across the region and considered ways of improving the effort. The workshop also sought to strengthen the use of ICT in fisheries and identified ways to promote sharing of information and technology for improving participation of stakeholders in policy development and the management of fisheries. CTA is the Technical Centre for Agricultural and Rural Cooperation, a joint international institution of the African, Caribbean and Pacific (ACP) countries and the European Union (EU) which aims to improve food and nutritional security and encourage natural resource management in ACP countries. At its subsequent meeting, the Ministerial Council underscored the need for countries to use modern ICT tools to enhance policy dialogue and the efficiency, effectiveness and impact of programmes and activities within the fisheries sector. The Council expressed its support for the regional fisheries workshop on promoting blue growth, scheduled for 20 to 21 November 2014 in Grenada. In relation to developments in international fisheries law, the CRFM’s Ministerial Council welcomed the ongoing deliberations by the International Tribunal on the Laws of the Seas (ITLOS), to clarify international law on matters such as flag state responsibility and liability in the fight against Illegal, Unreported and Unregulated (IUU ) fishing. Legal counsel for the CRFM, Professor Pieter Bekker of Dundee University, Scotland, had presented oral arguments to the full Tribunal of 21 Judges on 5 September 2014. Bekker's submission was well received and noted internationally.